MeeGo to get debut at last? Nokia N950 heading to devs next week? 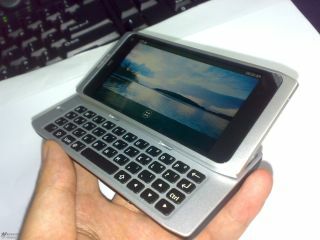 Nokia could be about to launch its first MeeGo handset, dubbed the Nokia N950, as soon as next week. After the handset formerly known as the Nokia N9 reminded us all that it exists by slipping through the FCC last week, it now looks as though developers will get their hands on the mysterious device very soon. Mobile blog Unwired View did some digging into the FCC filing, and discovered that Nokia requested a very short confidentiality agreement – just 45 days, as opposed to normal gagging clauses of 90 days or more. Those 45 days are up on 24 June, meaning we could see a launch towards the end of next month; or sooner, given that there's a MeeGo conference taking place in San Francisco starting next week. Unfortunately, it sounds as though the Nokia N950 will be a dev device, meaning that only developers will be able to get one. But Nokia does have plans to launch a MeeGo handset to the mass market at some point this year so all hope is not lost for Nokia MeeGo fans; will it be named the Nokia N950 or the Nokia N9 or something completely different? We'll just have to wait and see.